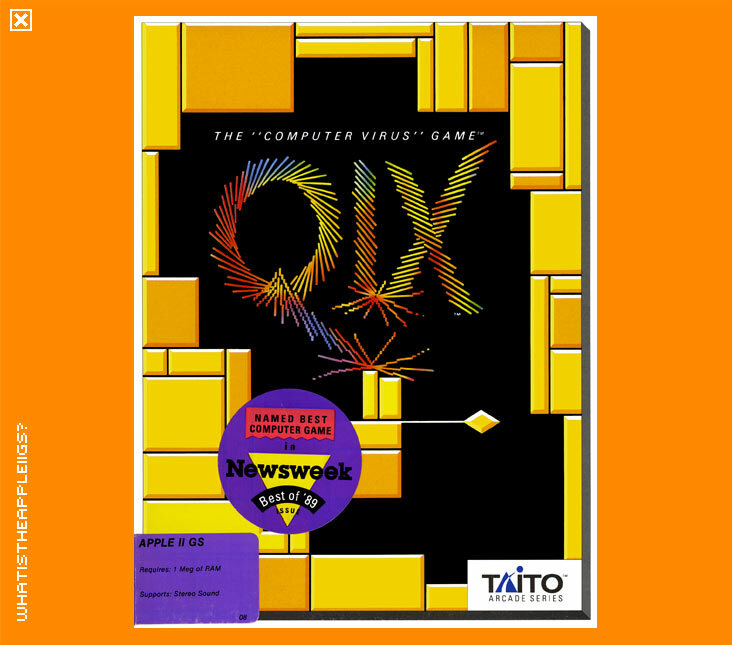 Qix was originally an arcade game first released way back in 1981 by Taito. Taito America's resident GS gurus Ryan Ridges and John Lund are responsible for this neat conversion, complete with new graphics and thumping music score. Qix could best be described as an action arcade/strategy game. Play involves that you trap the computer virus Qix, accomplished by creating boxes within the game field from edges of said field. This can be done in two ways, the first is to press and release the fire button (either open-apple or option if using the keyboard) and move in the direction (keypad or joystick) you wish to shape a rectangle in the playfield. The other option is pretty similar, only that if you continue to hold the fire button without releasing it and then make a rectangle, you receive double points. 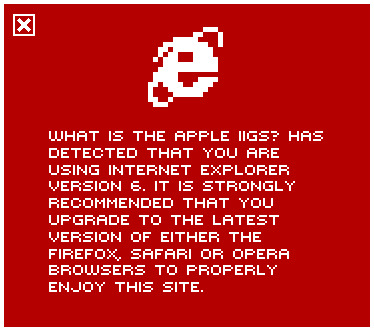 The down side of this is you move twice as slow. The object is to fill a certain percentage of the playfield, called the 'threshold', which is a required percentage given on the right hand side of the screen, to move onto the next level. An animated demo is given if you do not begin play which very nicely outlines how to play the game. While Qix is certainly one of the more innovative arcade games of our time, it's tough - I myself have never passed level 5 and neither have I seen anyone develop a strategy to contain the Qix (which becomes faster and targets in on your sprite in later levels) effectively. I'd be interested to know how - write in with your strategies!